Observation - Common Redshank - UK and Ireland. Description: Medium size wader with very distinctive bright red legs,often seen on estuaries searching for marine worms and the like. 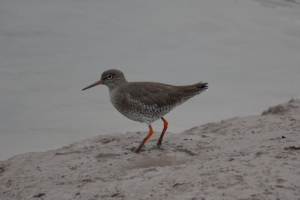 Medium size wader with very distinctive bright red legs,often seen on estuaries searching for marine worms and the like.